Put your hard had and get your hammer out! 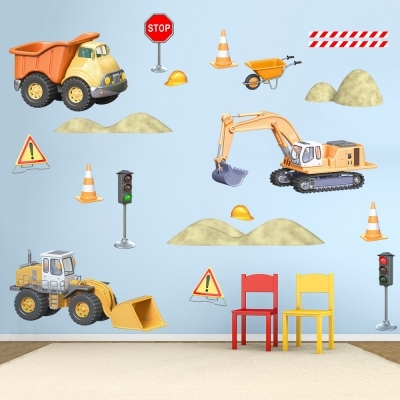 This 3D Construction Zone Set Wall Decal will turn any kids room into a builders paradise. Can't get enough construction in your life? Take a look at this similar 3D Construction Set Wall Decal!